Haddonfield High School English teacher Kim Dickstein poses with friend Garang Buk Buk Piol outside the Carter Center in Atlanta on Sept. 12. Many dreams have been fulfilled and many lives have been enriched by brushes with greatness: meeting your favorite sports figure, author, cartoon character or musician or having a famous borough resident return to their birthplace to mingle with the public. However, far fewer can say they have had the pleasure of meeting and speaking with, face-to-face, a sitting or former president of the United States as a result of extraordinary measures to aid those in need. Kimberly Dickstein clearly counts herself among the luckiest. 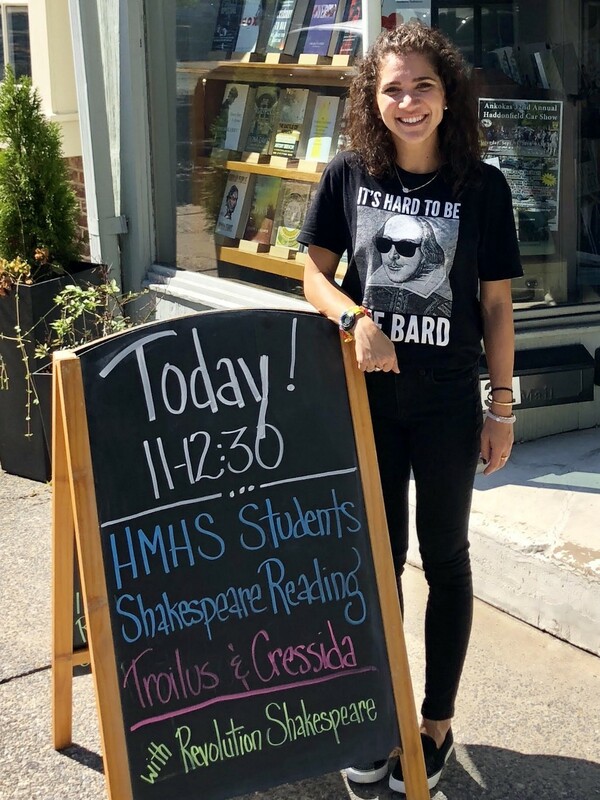 Currently in her 10th year as a Haddonfield High School English teacher, Dickstein hasn’t just concentrated her educational efforts to the intricacies of Shakespearean verse. She has availed herself of modern technology to give her students a glimpse of the world around them, and attempted to impart the lesson that a small group of dedicated citizens can come together make a difference. Dickstein just returned from Atlanta, Ga., where she met and shook hands with former President Jimmy Carter and his wife, former First Lady Rosalynn, at the Carter Center, which is dedicated to preventing and resolving conflicts, enhancing freedom and democracy, and improving overall health to underserved and impoverished populations. According to a piece by William Feuer featured in June on Philly.com, when the high school assigned its sophomores in the summer of 2015 to read Ishmael Beah’s heart-wrenching tale of becoming a child soldier, Dickstein wondered how to best create an impact on her 10th-grade students. She was able to contact an old friend who was working at the time in Malawi, and they began a correspondence over Skype. 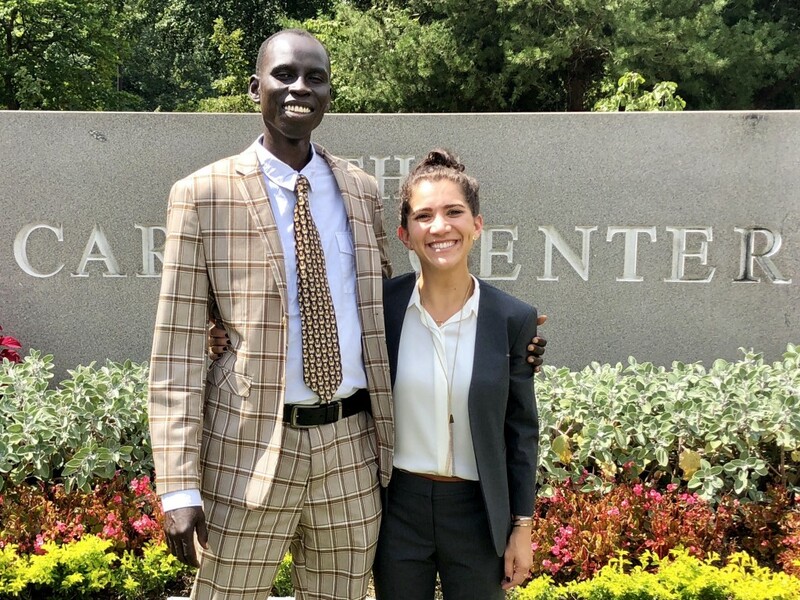 This past February, Emory provided Garang with a spot in that masters program. Scholarships were able to cover most of his tuition, but to get a U.S. visa, he would have to prove he has the resources to financially support himself in Atlanta — and he didn’t, according to the article. Enter Dickstein, who hatched the idea to get her friend the additional funds necessary. Dickstein’s diligent work ethic is the living embodiment of the “think globally, act locally” mantra. She is a firm believer in the power of words to shape attitudes from centuries past into the present and beyond, recognizing Shakespeare’s works have endured for more than four centuries and have empowered people from all over the world to take ownership of their humanity. She crafted her program of study around the philosophy that Shakespeare is for everyone for all time. And, as an advocate for the arts and humanities, she views Shakespeare as a vehicle to do good things. Dickstein’s role in this intercontinental tale has yet to come to an end. Since the response from the Haddonfield community has been overwhelmingly positive, she and her students plan to make a public presentation at the Board of Education’s next meeting on Sept. 27. Garang himself will be making a personal appearance to meet his benefactors in the borough on Oct. 7 ahead of his visit to the high school the following day. An additional fundraiser is being planned to take place at First Presbyterian Church on Dec. 7. Date is subject to change. Proceeds from the event will benefit Garang’s education fund and his work in South Sudan. If anyone wishes to donate, Garang’s GoFundMe can be found atwww.gofundme.com/get-garang-to-emory.